The last full day has come, but this will not be the final entry. Before leaving Japan I had to return to Tokyo first, where I would stay the last night. But before arriving in Tokyo I made a little detour to the infamous Kanamara festival in Kawasaki, better known under a different name. Early in the morning I shouldered my travel backpack and carried it together with another backpack and a large bag to the Shinkansen station of Kobe. I would have appreciated baggage delivery like I did in Tokyo, but since the delivery would take two days I decided to deliver it on my own. In the same fashion as the day before I traveled to Osaka and then changed trains for a train bound for Tokyo. 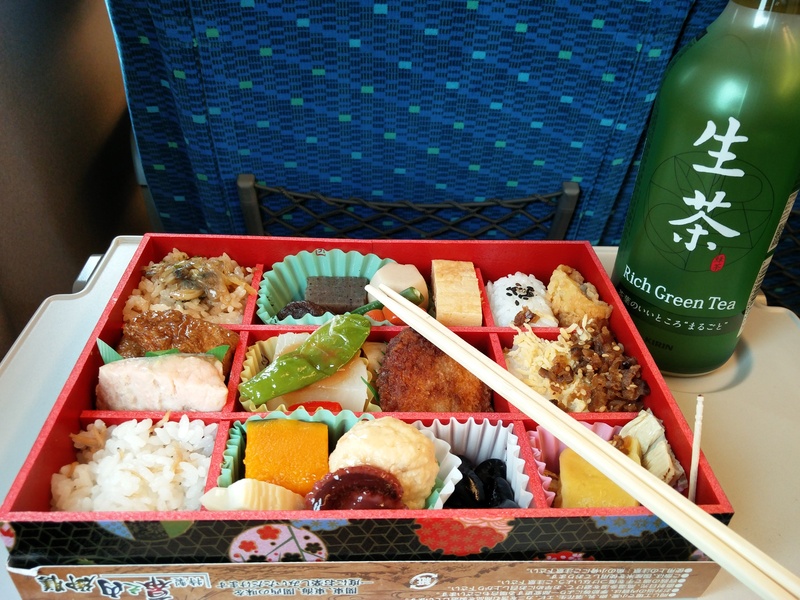 At the station I picked up a good-looking ekiben box and drank a coffee to stay awake at the early hour. Eating a bento box from the station in the spacious Shinkansen while the scenery flew by is one of my favorite experiences in Japan. In Kyoto two dozens of Americans boarded the car, changing the quiet into a more, let’s say lively atmosphere. We passed Nagoya soon after and before I realized it we approached Yokohama. Seeing the Fuji from the window was impossible because if the bad weather. It really changes everyday since I came here. At Shin-Yokohama it was chillier compared to Kobe and the weather was now cloudy. Luckily it did not start to pour. 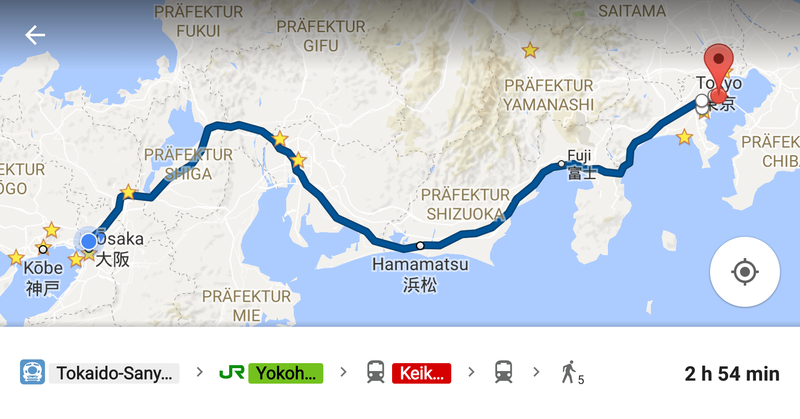 With two transfers I arrived in Kawasaki, my next destination. I anticipated that the station lockers would be all occupied but I had luck in the neighboring underground shopping arcade. 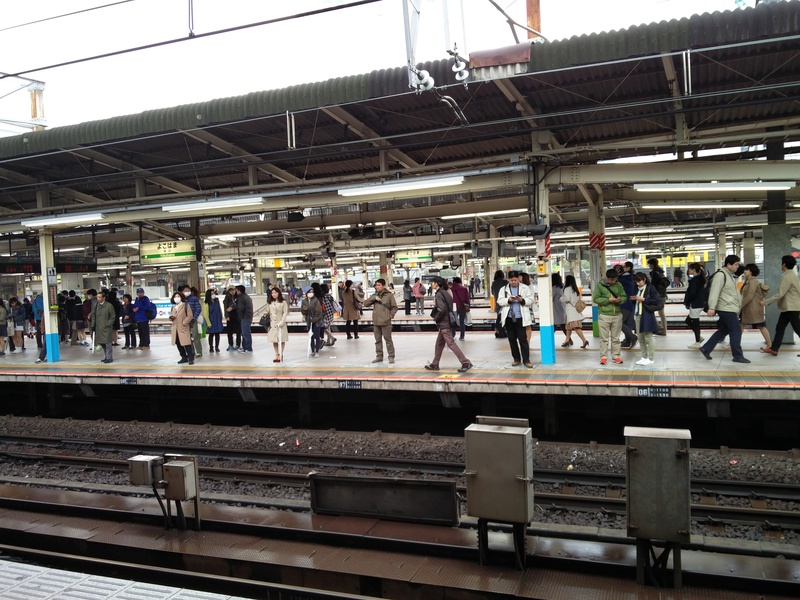 15 kilos lighter I boarded the crowded train to Kawasaki Daishi. To bring some light into the dark, I am a fan of wacky Japan just as well as I enjoy traditional and modern aspects of Japan. During the trip planning the event popped up and I decided to incorporate it into my itinerary. Since it was very crowded, and because of the bad weather, I decided not to take many photos of the festival. You can find better ones in the internet a click away, anyway. The foreigner-to-local ratio had certainly exceeded 1 and that manifested in a pushing, not very rule-obeying general attitude. A television team of the foreigner interviewing show “You ha nani shi ni nippon he?” inquired various people on their motivations of coming. The temple grounds were busy with people chewing on themed candy and eating other food. Quickly I lost interest in the main event and explored the vicinity. At a nearby temple it was much more relaxed, but still busy. Dozens of food stalls lined up, selling typical street food. This time I went for Okonomiyaki and Yakimanju, while others enjoyed Takoyaki, Yakisoba, or Frankfurter. 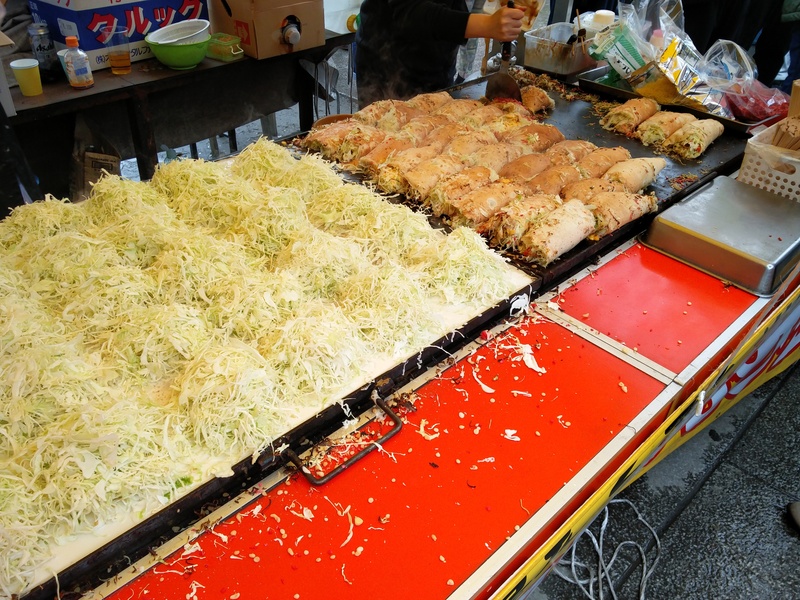 One stand sold something resembling Okonomiyaki Tacos, I should have tried them after all. In a nearby park various booths sold festival-related merchandise, such as “King” and “Queen” candy sticks that were hugely popular amongst all visitors. 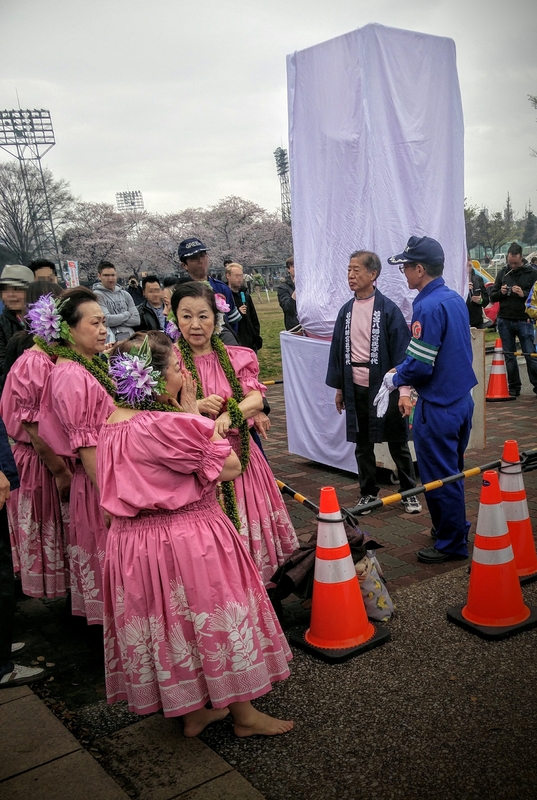 A group of old ladies performed a traditional dance in front of “Elizabeth”, which was quite a humorous scene, as I could read by the surprised face expression of the bystanders. It had an amusing vibe, just because of the context. Having seen enough I returned to Kawasaki, picked up my luggage and was lucky to find a direct connection to Ginza, where my hotel for the last night was. 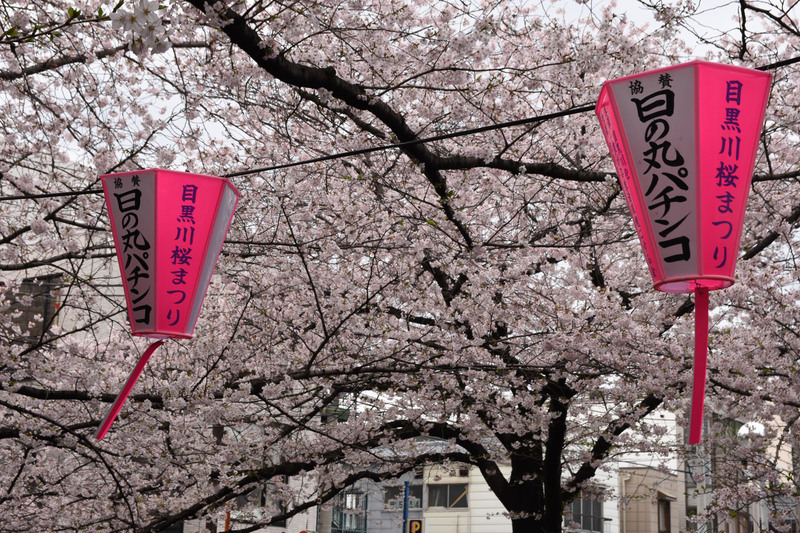 Since the day has luckily not progressed too far, I went to see some Sakura in Meguro. 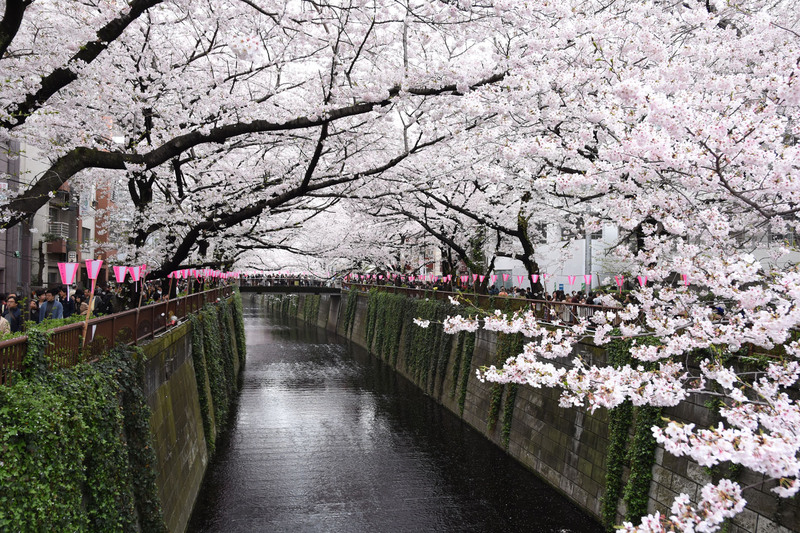 On both sides of the river sakura petals fell slowly from the trees into the river. The sheer amount of them impressed me. 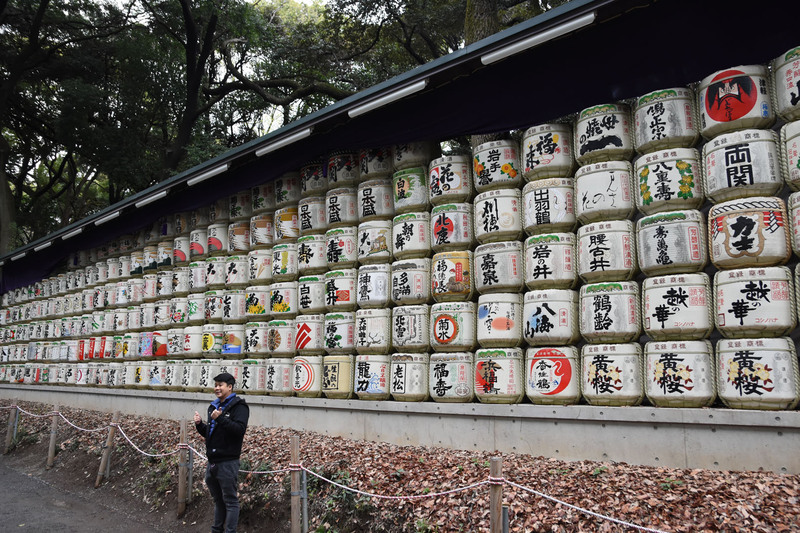 Next, I visited the Meiji Shrine in Harajuku. 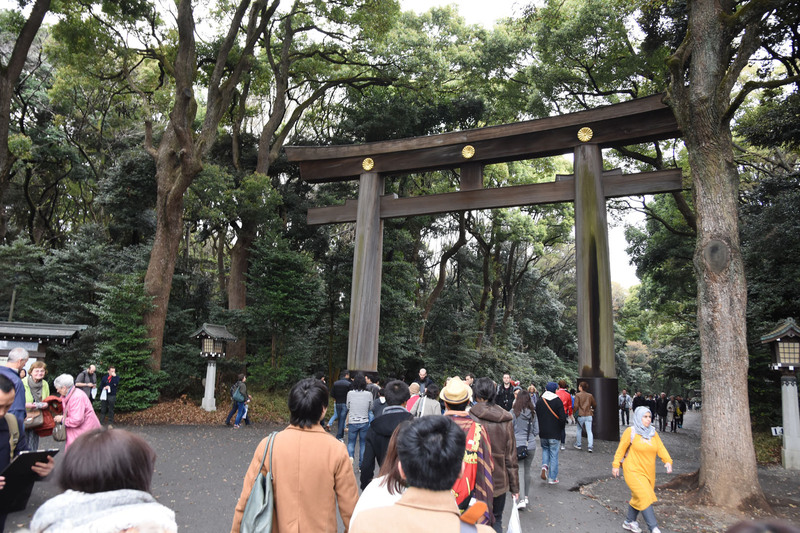 When entering the large wooden torii you forget that you are in the midst of Tokyo. 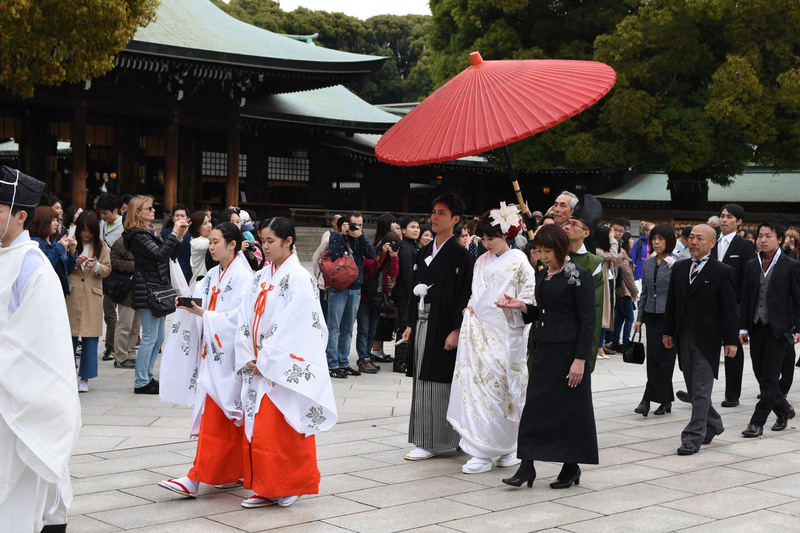 Just at the moment I arrived at the shrine a wedding procession took place which I watched until they disappeared in a shrine building. A lucky charm for save traveling should make my upcoming journey safe and without troubles. Indeed, there were no complications during the return flight. Harajuku and Takeshita-dori were quite busy on this Sunday evening, so I headed to Shinjuku next. 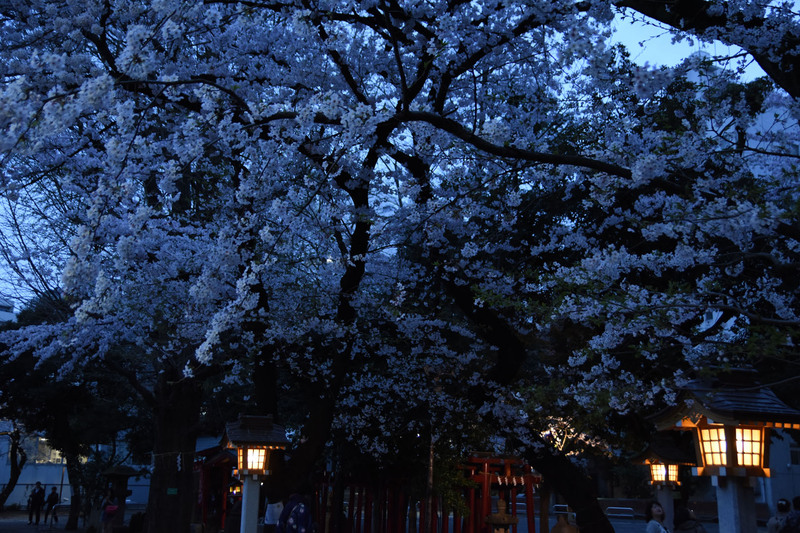 Strolling around on the eastern side of the station I found a local shrine which gave a relaxing contrast to the busy night life about to begin. In various shops and department stores I did some shopping and found some items I was looking for the whole time. At the book shop Kinokuniya I found preparation books for the JLPT N2 exam, and the limited Sake edition Kitkat was restocked at Don Quijote, after it was gone from all stores all over the country. At Muji I found some nice stationery items and at the convenience store I bought some more snacks. In the end I even managed to watch the boku dake ga inai machi film in the cinema, the second anime adaption I was interested in. 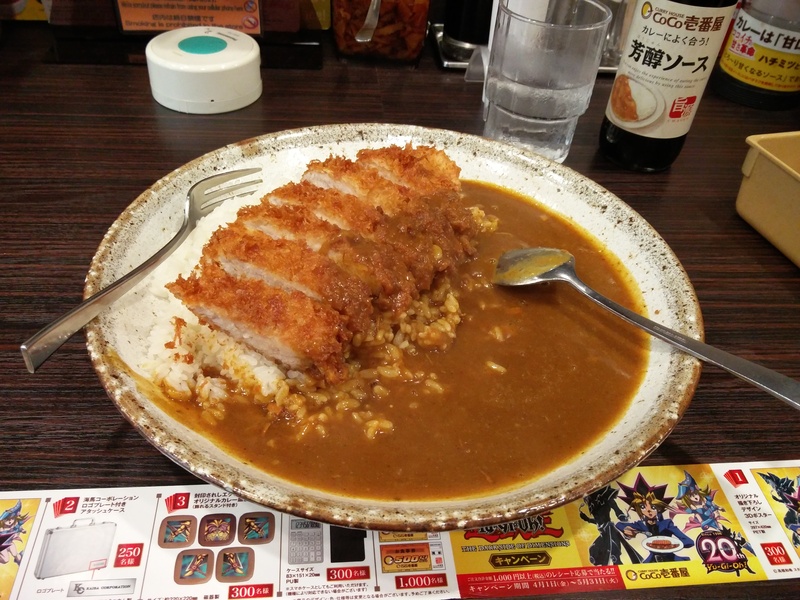 At CoCo Ichiban I was served crispy Katsu Kare, another dish I was hoping to try again. At the hotel I packed everything together and prepared for a short night. Because I had to rise early for the flight anyway I thought about appending a trip to Tsukiji fish market in the early morning. I set the alarm on 3 o’clock and turned off the lights.